Dublin is the perfect city for business because it’s easily accessible. The airport is rather big for a small city like Dublin and numerous planes fly in on a regular base many times a day. The main language is English, which makes it easy for people to ask for directions and to get around. Furthermore, Dublin uses the Euro as a currency, which makes it easy for European companies to have their meetings over here. Besides, if you are a European citizen, no passport is needed to enter Ireland. It is also a touch-point between the United States and Europe and makes it easy to settle here. Dublin is an international city and a hot-spot of Europe. Many workers from all over the world find their way here which makes it incredibly exciting to live here. Since the business is booming, the city also has become increasingly busy. The city features great social life opportunities. Restaurants, whether fancy or simple, are widely spread throughout the city. Dublin features numerous pubs and clubs for drinks and music venues belong to the standards as well. The city never sleeps and whatever time you decide to go out, you will always cross some people on your way. Furthermore, public transport is impeccable. Whether you prefer commuting by bus, train or tram, you will always catch one because they operate every few minutes. On the other hand, public transport is not cheap in Dublin but it seems to be the best option of travelling around unless you like walking of course. There is a wealth of talent and the population turns out to be the youngest of Europe. Over 50% of 30-34-year-olds have a third level degree, higher than any other EU country. Recruiting here on an international and national base seems to be easy and people are changing their jobs frequently. 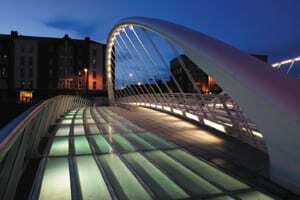 Dublin also tends to be supportive of entrepreneurs which is great for start-ups. Ireland is ranked by Forbes as one of the most business-friendly countries in the world. 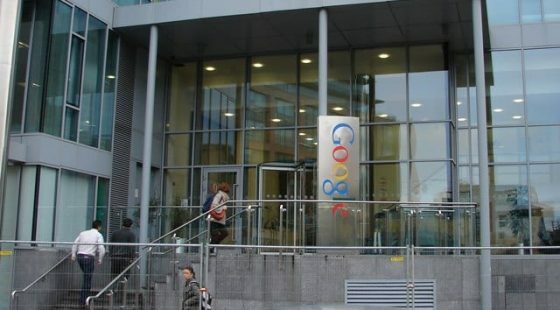 Low tax burden, investor protection and personal freedom attract many companies to settle down with their headquarters, especially in Dublin but also outside the area. Companies such as Google, LinkedIn, Facebook and eBay have found their permanent home over here which certainly means something for the country’s well-being, which has been in recession for a long time. The intelligent workforce is mentioned all the time and the 12.5% corporate tax rate is definitely attractive and that’s why many investments are made over here as well. There are many other factors for companies to start their business over here but one of the main ones is certainly the language. You want to have a common language if you are starting working on an international base. The Dublin hotels have been sincerely suffering during the Irish recession but it certainly looks like they are recovering. Since the multinationals are moving here one after another, the hotels are having a hard time to keep track of the demand. Many companies hold their meetings in hotels and book executive rooms for the business people flying over from other countries. This means that business for hotels is good but there is great competition amongst them. It is undoubtedly time for investments and innovation for hotels if they want to stand a chance in the battle for the best contracting company.